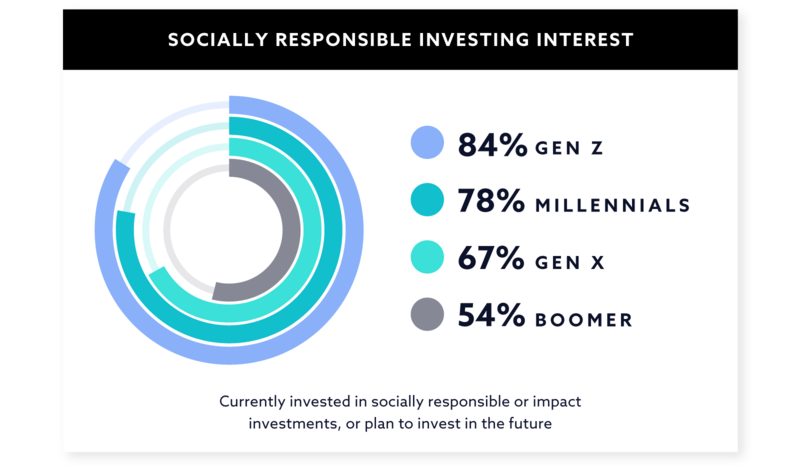 Swell Investing’s 2018 “Money Meets Morals” study finds that the vast majority of Gen Z investors aged 18-24 (84%) are either already invested in socially responsible or impact investments or plan to invest in the future. 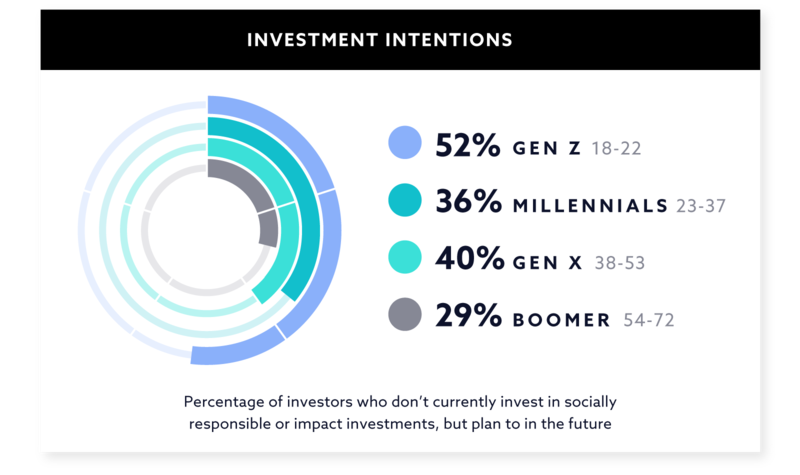 The study was conducted online by Harris Poll on behalf of Swell Investing and gathered insights from more than 2,000 US adults aged 18 and up, among whom over 1,400 have investments. 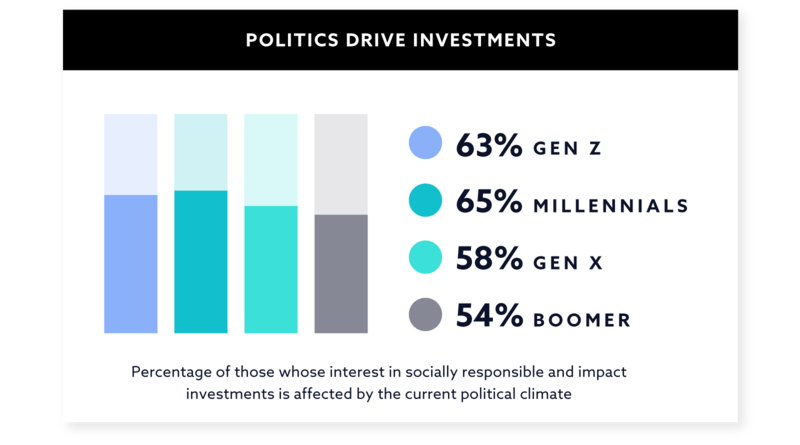 For a majority of Gen Zers and Millennials, politics, environmental concerns and a sense of responsibility appear to drive their interest. 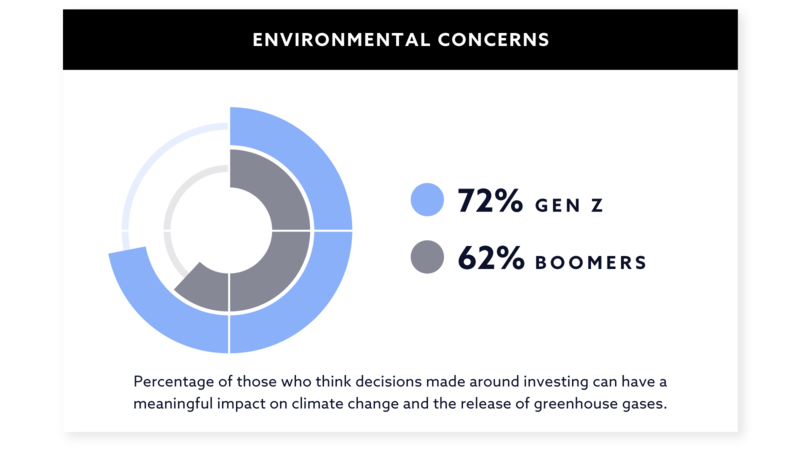 The majority of Gen Zers and Millennials think that when someone builds wealth, they have a responsibility to make sure their investment choices support positive social and environmental outcomes. 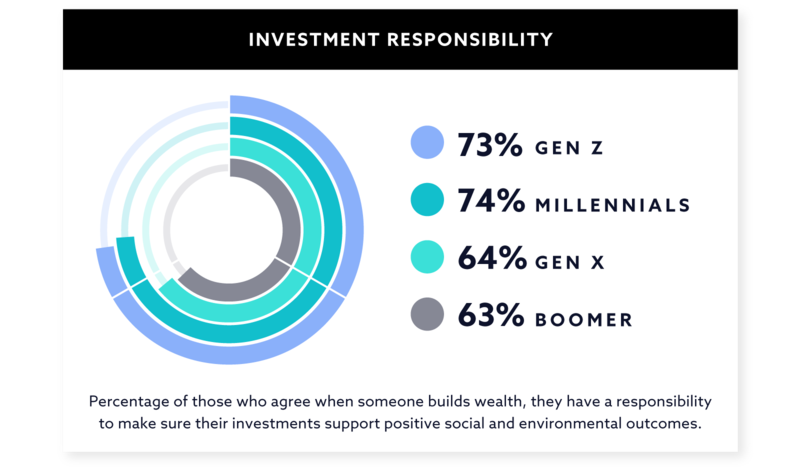 For Gen Zer and Millennial investors, wealth building brings feelings of responsibility for supporting positive social and environmental outcomes. 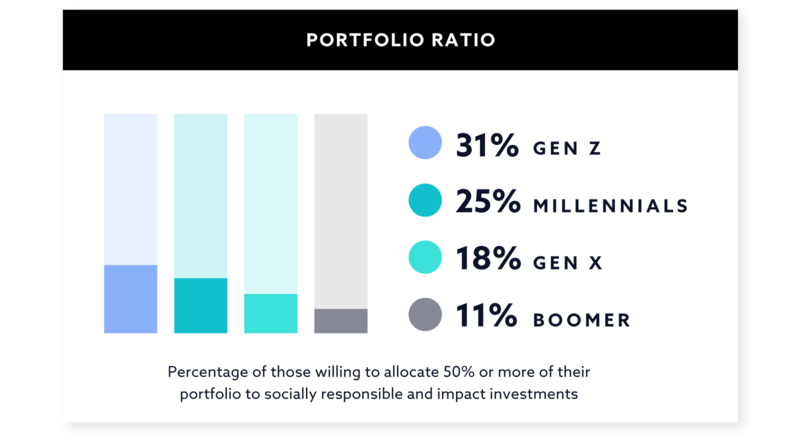 Nearly one in three of Gen Z investors (31%) said they would be willing to allocate 50% or more of their investment portfolio to socially responsible or impact investments, and one in four Millennial investors (25%) would do the same. This is compared to only 18% of Gen X investors and 11% of Boomer investors who said the same. Survey Method: This survey was conducted online within the United States by The Harris Poll on behalf of Swell Investing from September 6-10, 2018 among 2,026 U.S. adults ages 18 and older, among whom 1,413 have investments. This online survey is not based on a probability sample and therefore no estimate of theoretical sampling error can be calculated. For complete survey methodology, including weighting variables and subgroup sample sizes, please contact [email protected].